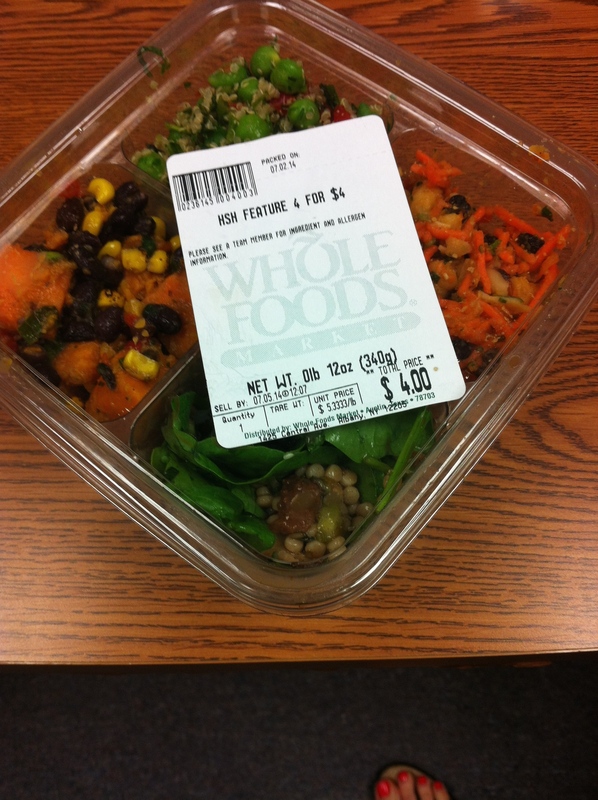 Here is my “find of the week”: A Whole Foods lunch special offered every Wednesday starting at 11:30 AM for just $4! If you’ve visited Whole Foods in Albany, you know that they have a lovely lunch selection. 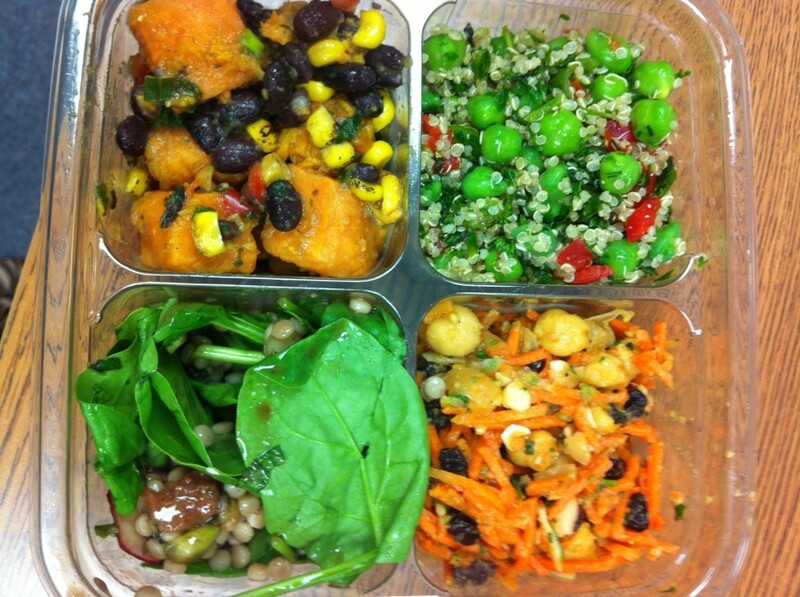 Some of the items can be quite pricey and though I’ve tried some of their excellent salads from their salad bar, $9 a pound adds up quickly! It may not look it from the photo but there was 12oz of food in the box- a decent amount of each salad to make up a lunch-sized meal. Neither of us liked the green garbanzo bean salad with quinoa and mint (we wanted to but it was just too dry) but the other three were very good. Definitely worth a try if you are in the area on a Wednesday!